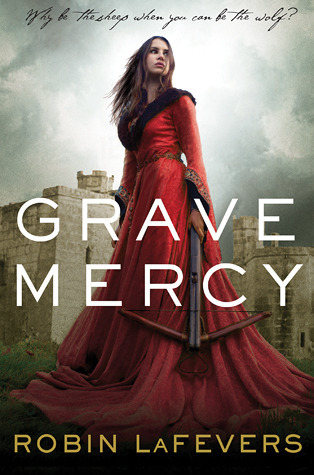 I thought Grave Mercy was interesting when I read it but, then, I like high fantasy. 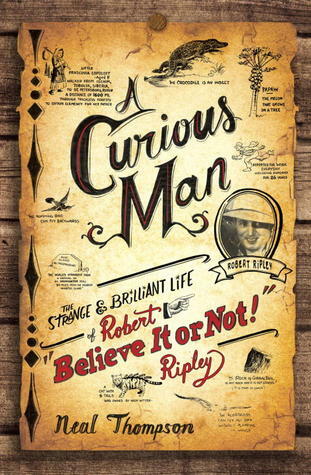 Your biographies sound interesting as well even though I seldom read nonfiction. Come see my Monday Report. Happy reading! Uhoh - I plan on reading Grave Mercy soon. I'm a big fan of high fantasy though, so hopefully I'll like it. I hear you on the "read less than planned" week! Eleanor and Park finally came in and is waiting for me at the library . . . I'm looking forward to it, though a couple books are ahead of it. That Marcel Marceau biography sounds interesting! Eleanor & Park is sitting in my pile right now.... I've got to move it up! Grave Mercy.... I do like fantasy quite a bit, but this book did not work for me. The Booksmugglers had a really good review that captured my thoughts about it as well. I also listened to it on audio and I'm pretty sure the only reason I didn't abandon is because it was narrated so well! I've been trying to do #bookaday since my semester ended, and all I can say is: hooray for picture books! I've been struggling to finish stuff too. Happy reading this week! Eleanor and Park looks intriguing. 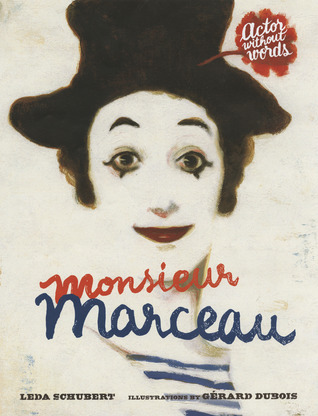 I enjoyed learning about Marcel Marceau through Monsieur Marceau. Your current read looks interesting also. I like Grave Mercy, but I'm judging the book by its cover. Happy Memorial Day! Grave Mercy looks so intriguing - all wispy skirts and stormy weather - I have thought about requesting it at the library to read in the summer . . . but maybe I will wait to see if you keep with it . . . I have Eleanor and Park, and look forward to it, but understand it could be such an ending. The Marceau book looks good. I'm not sure I'll ever be into Grave Mercy. Thanks for such good reviews! Oooh, I really want to read Eleanor and Park. When John Green raves about a book...sold! Also, Grave Mercy looks so good! Enjoy. I want to read Grave Mercy. I'm currently reading The Host by Stephenie Meyer and Anna Karenina by Tolstoy.